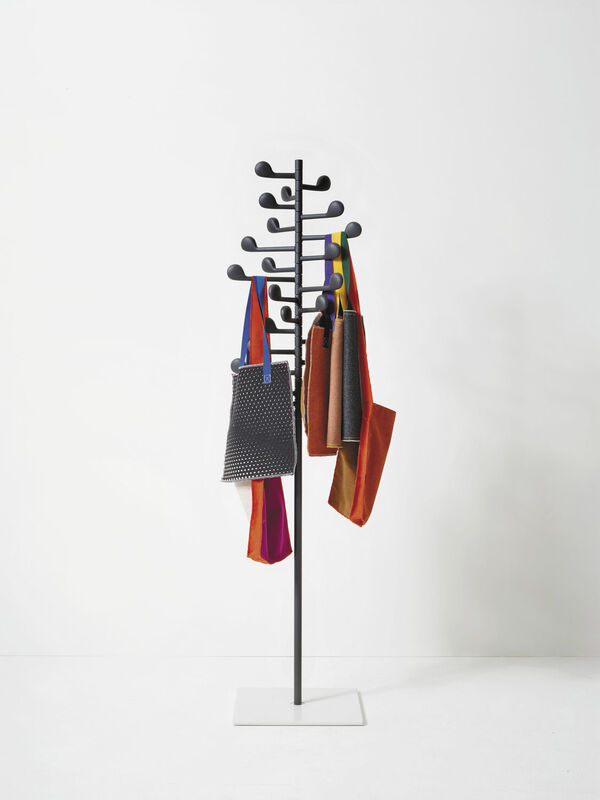 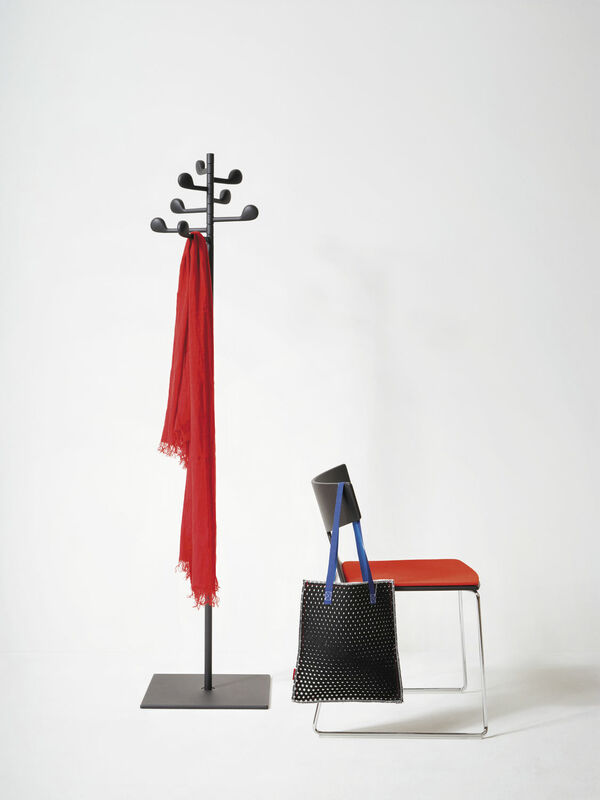 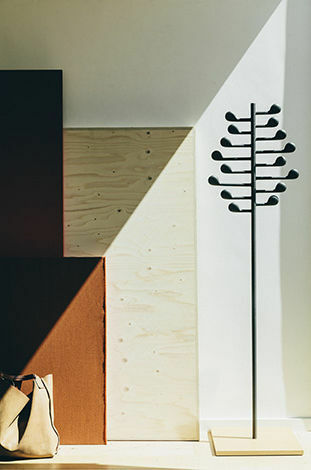 Freestanding coat stand consisting of 8-hook modules resembling music notes. 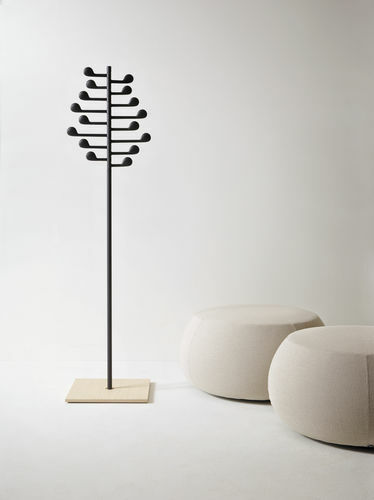 The steel base is available in three different finishes: white or anthracite lacquered or natural oak veneered. 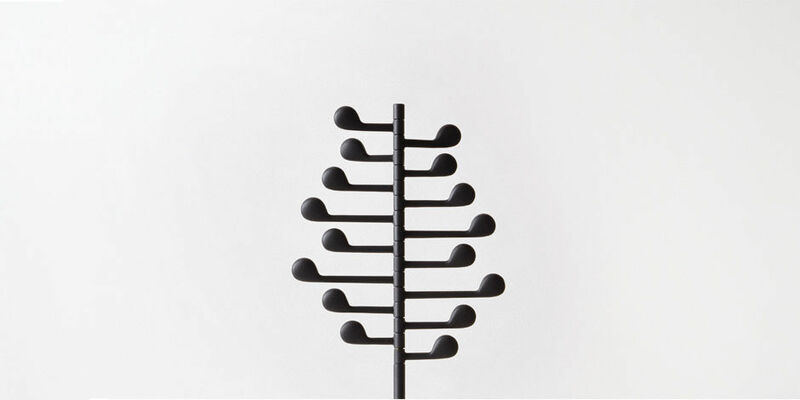 The steel stem and the aluminum hooks are embossed anthracite lacquered.